In our real life, we are under the pressure from family, marriage, work, interpersonal relationships, and so on. Many of us therefore get ourselves in trouble and feel at a loss, and even lose hope in life. So, how should we get through hard times in life? Read the following Bible verses about hope which will help us receive faith and strength from God and renew our hope in life! Where there is hope, there is strength to live. Even when encountering setbacks and failure, we shall have faith to face them. So, how can we find hope? Please read the following Bible verses. My soul, wait you only on God; for my expectation is from him. O LORD, the hope of Israel, all that forsake you shall be ashamed, and they that depart from me shall be written in the earth, because they have forsaken the LORD, the fountain of living waters. In life, many of us often face all kinds of stresses, such as financial constraints, difficulties in jobs, and frustration of marriages, making us feel perplexed and depressed and lose our hope in life. Here are the Bible verses to help you find hope in difficulties and receive comfort and help from God. For our light affliction, which is but for a moment, works for us a far more exceeding and eternal weight of glory. Blessed be God, even the Father of our Lord Jesus Christ, the Father of mercies, and the God of all comfort; 4Who comforts us in all our tribulation, that we may be able to comfort them which are in any trouble, by the comfort with which we ourselves are comforted of God. The future is full of uncertainty. We never know what tomorrow will bring to us. So, how should we approach our hope for the future? Please read the Bible verses below. For we are saved by hope: but hope that is seen is not hope: for what a man sees, why does he yet hope for? But if we hope for that we see not, then do we with patience wait for it. And hope makes not ashamed; because the love of God is shed abroad in our hearts by the Holy Ghost which is given to us. The Lord Jesus was nailed to the cross, completing the work of redemption and forgiving our sins. Thus, we could come before God, enjoy abundant grace and blessings from Him and have the hope for the eternal life. 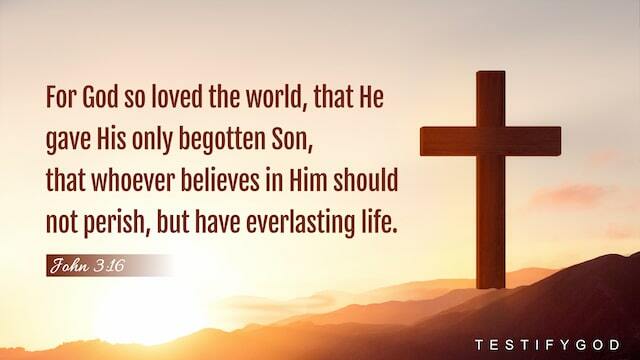 Read the following Bible verses and feel God’s love and salvation for us! And this is the promise that he has promised us, even eternal life. And every one that has forsaken houses, or brothers, or sisters, or father, or mother, or wife, or children, or lands, for my name’s sake, shall receive an hundred times, and shall inherit everlasting life. Which he shed on us abundantly through Jesus Christ our Savior; That being justified by his grace, we should be made heirs according to the hope of eternal life. For two thousand years, the age changes, but our hope for the Lord’s return has never changed. Now is the time of the Lord’s return in the last days. So, how should we welcome the Lord and realize our hope? Please read the verses below and wait soberly for the Lord’s return! So Christ was once offered to bear the sins of many; and to them that look for him shall he appear the second time without sin to salvation. For our conversation is in heaven; from where also we look for the Savior, the Lord Jesus Christ. That the trial of your faith, being much more precious than of gold that perishes, though it be tried with fire, might be found to praise and honor and glory at the appearing of Jesus Christ. Why gird up the loins of your mind, be sober, and hope to the end for the grace that is to be brought to you at the revelation of Jesus Christ. God is faithful, so His promise to us will be never in vain. We hope these Bible verses about hope will be helpful to your belief and your life! » Do you know how the Bible prophecies about the Lord’s return will be fulfilled and how to welcome the Lord? You are welcome to read testimonies on returning to the Lord. God says, “The words I speak are truths directed at all mankind, and are not addressed only to a specific person or type of person. Therefore, you should concentrate on receiving My words from the standpoint of the truth, as well as maintain an attitude of undivided attention and sincerity. Do not ignore a single word or truth that I speak, and do not regard all of My words with disdain. ” God’s word is a lamp to our feet and a light to our path, and is bread of life for our spiritual growth. So, it is a mandatory lesson for us to read God’s word and practice God’s word every day. we should accept and obey God’s word with a God-fearing heart. Only thus can we gain the enlightenment and guidance of the Holy Spirit and understand God’s will. Now, let’s quiet our heart before God and read His word below. Matthew 24:35 Heaven and earth shall pass away, but my words shall not pass away. John 6:63 It is the spirit that vivifies; the flesh profits nothing: the words that I speak to you, they are spirit, and they are life. John 5:39-40 Search the scriptures; for in them you think you have eternal life: and they are they which testify of me. And you will not come to me, that you might have life. » Related article: • Does the Bible Contain the Way of Eternal Life? • A Mystery Revealed: Not All the Word in the Bible Is God’s Word Isaiah 55:8 For my thoughts are not your thoughts, neither are your ways my ways, said the LORD. Isaiah 55:9 For as the heavens are higher than the earth, so are my ways higher than your ways, and my thoughts than your thoughts. Ezekiel 12:28 Therefore say to them, Thus said the Lord GOD; There shall none of my words be prolonged any more, but the word which I have spoken shall be done, said the Lord GOD. » Related article: • The Creator’s Authority Is Not Constrained by Time, Space, or Geography, and the Creator’s Authority Is Inestimable • The Fact of the Creator’s Control and Dominion Over All Things and Living Beings Speaks of the True Existence of the Creator’s Authority Matthew 7:24 Therefore whoever hears these sayings of mine, and does them, I will liken him to a wise man, which built his house on a rock. Matthew 13:19-21 When any one hears the word of the kingdom, and understands it not, then comes the wicked one, and catches away that which was sown in his heart. This is he which received seed by the way side. But he that received the seed into stony places, the same is he that hears the word, and immediately with joy receives it; Yet has he not root in himself, but endures for a while: for when tribulation or persecution rises because of the word, by and by he is offended. » Related article: • How to Be Humble?—Reflection on Blessed are the poor in spirit • I Knew How to Distinguish Between the True Christ and False Ones From a Meeting on Facebook Matthew 4:4 But he answered and said, It is written, Man shall not live by bread alone, but by every word that proceeds out of the mouth of God. John 8:31 Then said Jesus to those Jews which believed on him, If you continue in my word, then are you my disciples indeed; John 8:32 And you shall know the truth, and the truth shall make you free. John 15:7 If you abide in me, and my words abide in you, you shall ask what you will, and it shall be done to you. » Read more in these articles: • True Meaning of Man Living by God’s Word • 4 Steps to Magnify the Lord in Your Life – Daily Practice • The Happy Experience of Putting the Truth Into Practice John 17:17 Sanctify them through your truth: your word is truth. John 7:16 Jesus answered them, and said, My doctrine is not mine, but his that sent me. John 7:38 He that believes on me, as the scripture has said, out of his belly shall flow rivers of living water. Luke 11:28 But he said, Yes rather, blessed are they that hear the word of God, and keep it. Revelation 1:2 Who bore record of the word of God, and of the testimony of Jesus Christ, and of all things that he saw. Revelation 22:19 And if any man shall take away from the words of the book of this prophecy, God shall take away his part out of the book of life, and out of the holy city, and from the things which are written in this book. 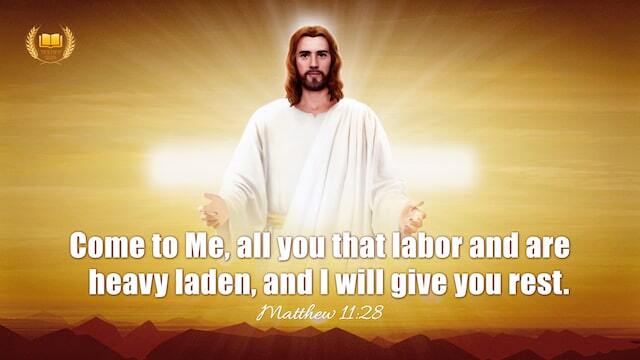 My Dream of the Heavenly Kingdom – Christian Movies Peace be with you all! Dear brothers and sisters, if you have any understanding or enlightenment from God, you’re welcome to share with us.1. Via the online chat window at the bottom right corner of the screen.2. Send an email to info@testifygod.org.We sincerely hope we’ll grow spiritually through sharing with each other. Loving your neighbor as yourself is a commandment that the Lord Jesus required us to observe. Which Bible verses are about this aspect? Let’s read these 12 popular Bible verses together and learn how to love others. John 13:34-35 A new commandment I give to you, That you love one another; as I have loved you, that you also love one another. By this shall all men know that you are my disciples, if you have love one to another. Matthew 7:12 Therefore all things whatever you would that men should do to you, do you even so to them: for this is the law and the prophets. Romans 13:8 Owe no man any thing, but to love one another: for he that loves another has fulfilled the law. 1 Peter 4:8-10 And above all things have fervent charity among yourselves: for charity shall cover the multitude of sins. Use hospitality one to another without grudging. As every man has received the gift, even so minister the same one to another, as good stewards of the manifold grace of God. Luke 10:27 And he answering said, You shall love the Lord your God with all your heart, and with all your soul, and with all your strength, and with all your mind; and your neighbor as yourself. Mark 12:29-31 And Jesus answered him, The first of all the commandments is, Hear, O Israel; The Lord our God is one Lord: And you shall love the Lord your God with all your heart, and with all your soul, and with all your mind, and with all your strength: this is the first commandment. And the second is like, namely this, You shall love your neighbor as yourself. There is none other commandment greater than these. 1 John 4:7-8 Beloved, let us love one another: for love is of God; and every one that loves is born of God, and knows God. He that loves not knows not God; for God is love. Romans 12:4-5 For as we have many members in one body, and all members have not the same office: So we, being many, are one body in Christ, and every one members one of another. 1 Corinthians 13:4-8 Charity suffers long, and is kind; charity envies not; charity braggs not itself, is not puffed up, Does not behave itself unseemly, seeks not her own, is not easily provoked, thinks no evil; Rejoices not in iniquity, but rejoices in the truth; Bears all things, believes all things, hopes all things, endures all things.Charity never fails: but whether there be prophecies, they shall fail; whether there be tongues, they shall cease; whether there be knowledge, it shall vanish away. » You may be interested in reading more on our Interpersonal Relationships page, or in the articles below. • How to Live in Harmony With a Stroppy Roommate • 4 Tips for Christians to Get Along With People and Build a Good Relationship • God’s Words Has Resolved Conflicts Between Workmate and Me Peace be with you all! Dear brothers and sisters, if you have any understanding or enlightenment from God, you’re welcome to share with us.1. Via the online chat window at the bottom right corner of the screen.2. Send an email to info@testifygod.org.We sincerely hope we’ll grow spiritually through sharing with each other.